Anthony G. Suizzo began his career in insurance defense at Jacobs Williams and Montgomery, Ltd. 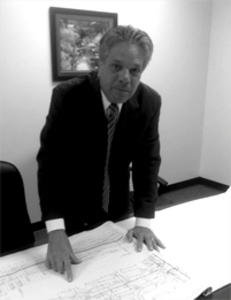 He has now been a construction attorney for nearly twenty five years. Mr. Suizzo has successfully handled thousands of matters in federal and state courts, in Cook County and the surrounding counties, in the Illinois Court of Claims and the United States Claims Court. He is a member of the Chicago Bar Association Mechanics Lien and Construction Law Committees, and has given numerous seminars on mechanics liens and bond claims.